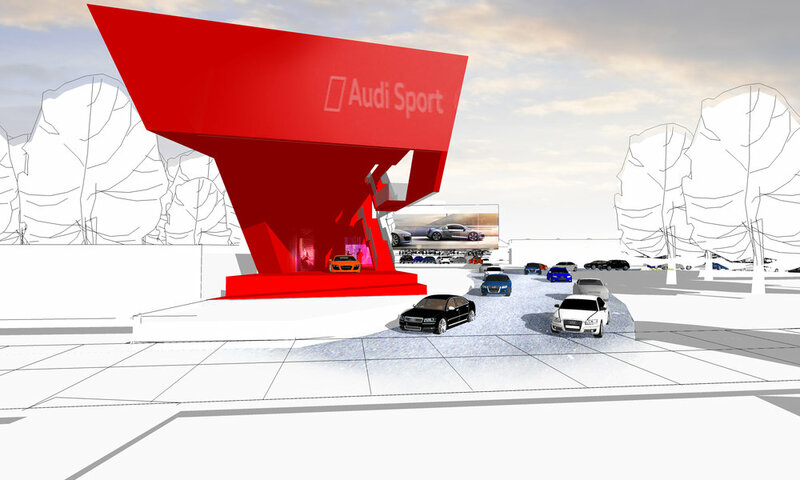 Audi had reserved an ‘on the grid’ stand at the heart of the Goodwood Festival of Speed. To make the most of it, they invited numerous design proposals. It needed to have a huge presence and encourage visitors to engage with the brand at multiple levels. SRA’s solution was to effectively ‘pull the stand apart’. 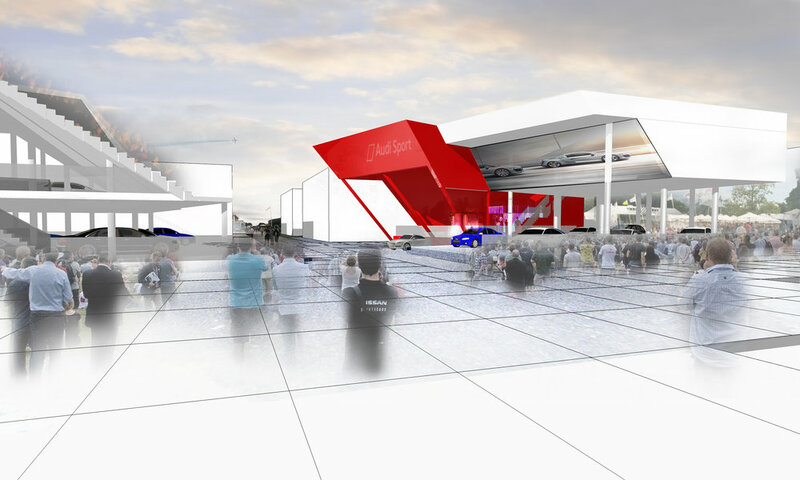 We designed several pavilions and a brand experience centre that straddled the main boulevard. This aimed to draw in visitors while they were strolling through, each area immersing them deeper and deeper in the brand experience. Like everything else at the Festival, speed was going to be crucial. We designed the stand so that it could be erected and dismantled very rapidly. It could also be re-used, with the pavilions reconfigured a number of different ways for other events; a simple, striking and cost-effective solution.